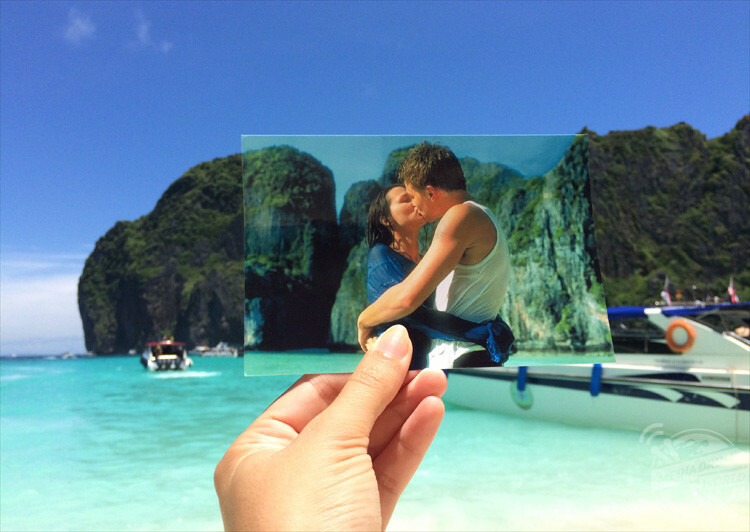 THIS TRAVEL blogger has visited more than 1000 filming locations where she lines up pictures of famous movies with their real life background. 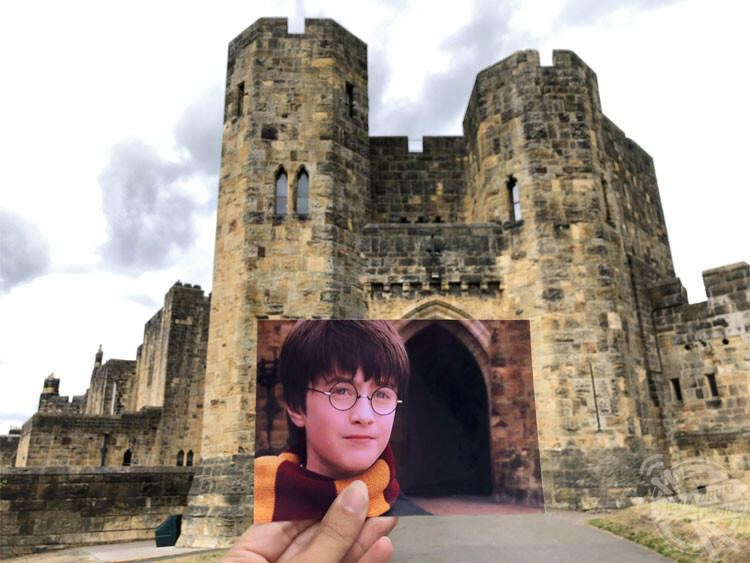 Harry Potter – Alnwick Castle. 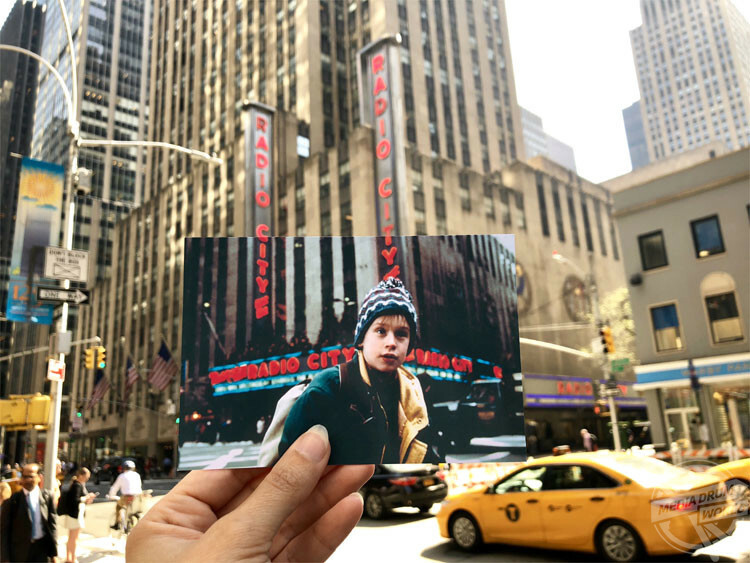 Incredible images include Harry Potter pictured in front of the ‘Hogwarts’ Alnwick Castle, Home Alone’s Kevin in New York and characters from The Hangover sitting on steps in Bangkok, Thailand. 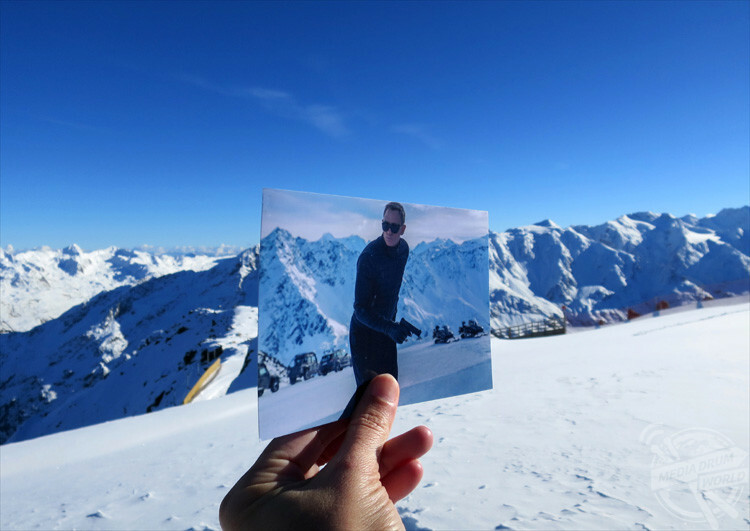 James Bond, Spectre – Solden, Austria. 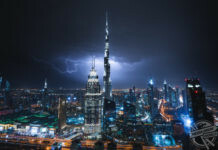 Other striking pictures show Leonardo Di Caprio in Thailand where The Beach was filmed, James Bond skiing down a snowy mountain and Forrest Gump telling his life story at a square in Georgia, USA. 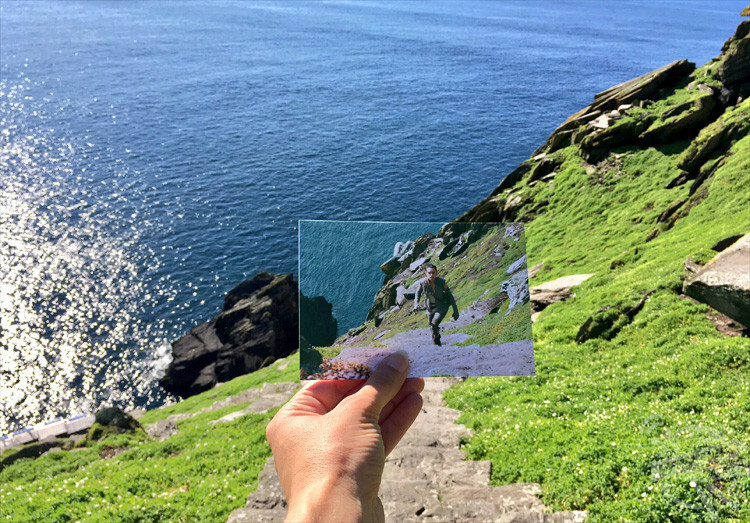 Star Wars, Skellig Michael, Ireland. 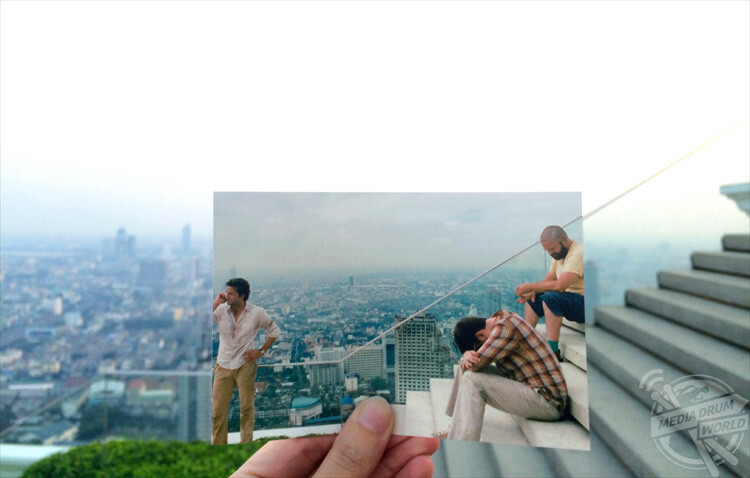 Andrea David (40), from Hamburg, Germany, travels to filming locations around the world and combines fantasy with reality by lining up a movie image with its real-life background. 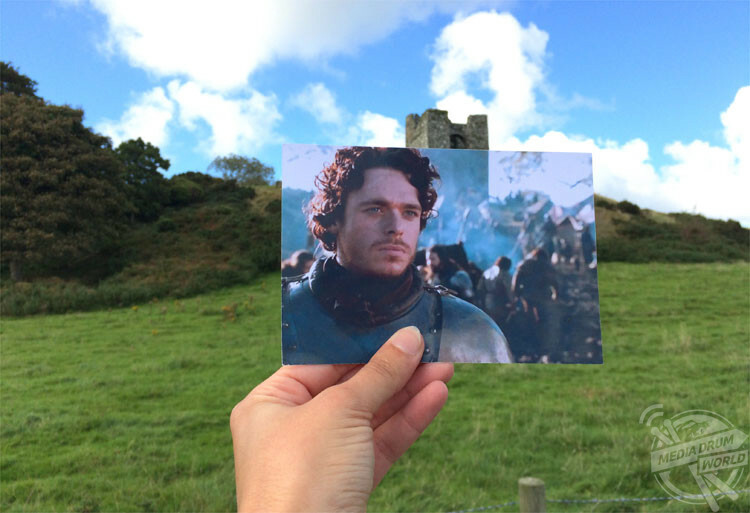 Game of Thrones – Audley’s Castle, Northern Ireland. “It’s easier to ask local people about filming locations when you can show them the specific scenes,” she said. 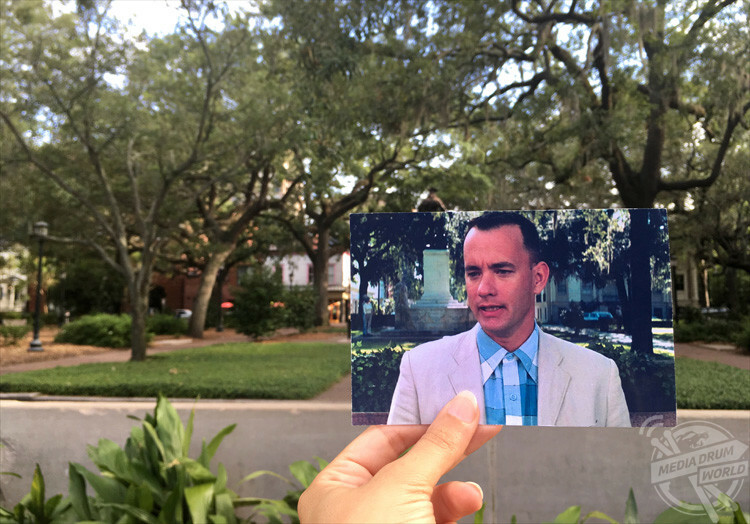 Forrest Gump – Savannah, Georgia. “So I always carry some printed picturess of the filming scenes with me. Once in Cambodia at a ‘Tomb Raider: Lara Croft’ location (four years ago) I thought it would be fun to try to align the image with its real background to mix up fantasy and reality in one picture. The Hangover – Bangkok, Thailand. “Among the most famous movie places ranks the real Kellerman’s Resort of ‘Dirty Dancing’ in Virginia, the beach of ‘The Beach’ in Thailand, the square in Savannah where ‘Forrest Gump’ told his story and the blue door of ‘Notting Hill’. 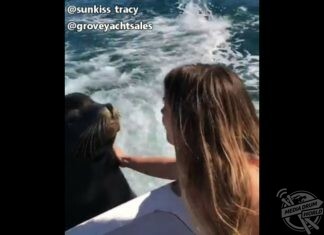 “The message is that there’s more to see at a place when you know the stories behind it. In this case fictional film stories but of course this can also be personal or historical events. Andrea hasn’t counted how many places she’s travelled to so far but her photo archive suggests more than 1000 filming locations. 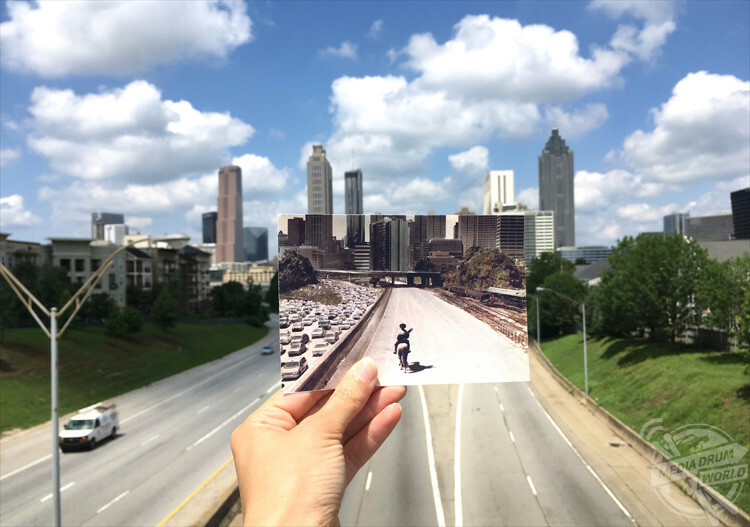 Waling Dead – Atlanta, Georgia. She blogs about her travels (www.filmtourismus.de) to 180k users a month while her Instagram account (@filmtourismus) has 225k followers. Dirty Dancing – Hotel Trail. “While doing research in 2004 I gained a taste for it and started travelling to various filming locations. After my thesis I continued travelling this way because I really enjoyed it. 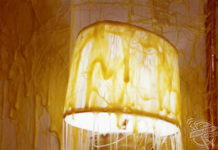 Then, in 2007, I decided to share my experiences and adventures with other people who may also be interested. A lot of people wrote to me saying how grateful they were to know how to find these places.